It’is dominating the idea that Contemporary art is a sort of esoteric practice unrelated to reality; the visual art language is a composite and structured body which absorbs the environment and inscribed in its time. The Contemporary artist makes us conscious of the everyday aspects of life, which the experience is not enough to understand only though of living them. One thinks of the Pop images of Andy Warhol and Claus Oldenburg, which condensed the American style of life during the Hot chapter of consumerism and tied to the productive period of the 60es. The exhibition Murakami – Manetas presents the works of two artists who interpret the Nintendo generation: that of the techno-maniacs raised on the manga (Japanese comics) and video games, kids that live games like a trance that renders ephemeral the edges of reality. The game becomes a place in which we are heroes and we can take on borrowed identities. Our life has been contaminated by fiction: the commutative tissue of the media demonstrate an indifference for logic and truth, instead an interest in only stimulating an public emotions; fashion has been invaded by the techno-clothes inspired by the heroines of the manga, such as Sailor Moon or from the main character of the video games, like Lara Croft; the new urbanism moves toward the utopian landscape of Disneyland; and in the end our children cuddle technological toys like Furby and Tamagochi. Some believe that, reality being a fiction, that fiction no longer exists, thus the Loudness esthetics of Murakami and Manetas are more realistic than what appears in reality. Takashi Murakami is with Mariko Mori, one of the most important Contemporary Japanese artists working today. 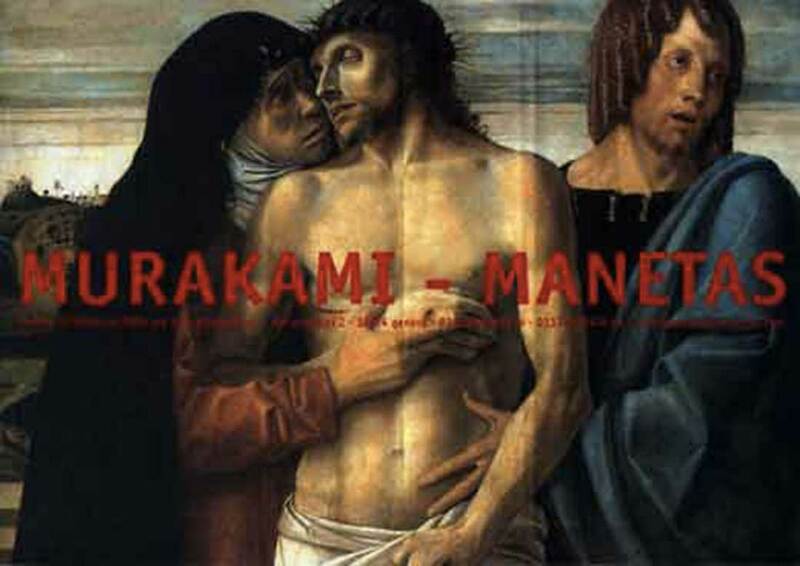 The work of Murakami takes its inspiration from the manga world, a world that the artist manipulates in which he create a new universe which is as wonderful as it is ironic, consequently destroying the borders between high and low culture. In representing his colorful world the Japanese artist uses a wide variety of media: a refined pictorial technique, serigraphs, drawings, blow-up sculptures. Serial objects, which exist on the borderline between art and mass produced objects like small sculptures, maquette and watches. In the main exhibition room of pinksummer will be presented DOB, a character created in 1993, in the form of a gigantic flying balloon with ears large eyes (cm. 235x 305x 180) and pink Summer (cm. 100×70) an acrylic on canvas with a floral theme. The Miltos Manetas language divides into two lanes: vibracolor, a sort of Contemporary ready-made in which he represents the dreamy and stereotypical iconography of the video game; and large oil on canvas in which he depicts in the domestic life the game console, cables, computer screens, joysticks like instruments which help us to penetrate the new virtual world. Manetas presents a large vibracolor of super Mario (cm. 260 x 300) comprised of four panels of (cm, 130 x 170 ea. ).